Mobilising Housing Officers in 2015! City Interaction Lab are about to embark on an exciting project aimed at revolutionising mobile working within the social housing sector. 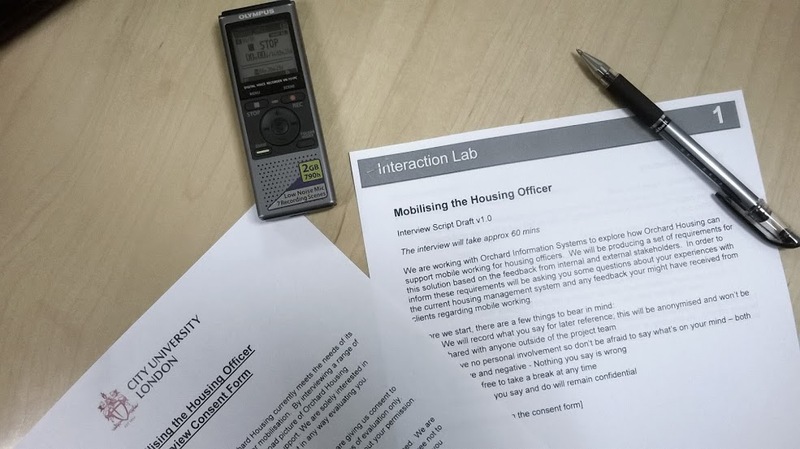 Researchers from City Interaction Lab have been engaged by software company Orchard Information Systems to conduct a human-centred design project exploring the state of mobile working within the social housing sector in order to inform the design of an optimised solution. The discovery phase of the project lasting between February and April 2015 will involve stakeholder interviews with Orchard staff and field research shadowing housing officers within 5 sponsor organisations. Both activities will inform personas and requirements for a mobile working solution. In parallel City Interaction Lab will also be conducting a comprehensive review of mobile working solutions aimed at the housing sector. The culmination of all this work will be a White Paper on the state of mobile working within the housing sector including recommendations on how Orchard can design a solution to meet the needs of this market. This project follows on from the Promaster Mobile Redesign Project, another recent collaboration between City Interaction Lab and Orchard Systems where we utilised the human-centred design process in order to redesign a mobile working app aimed at housing surveyors. For the duration of the housing officer project City Interaction Lab will be scaling back other consultancy commitments, but will remain available for facilities hire. City Interaction Lab are excited to be working with Orchard Information Systems and sponsor organisations Yorkshire Housing, Severn Vale Housing, Mosscare Housing Group, livin Housing and Derwentside Homes in carrying out this project. Any questions on this project please contact us via InteractionLab@city.ac.uk.